With only two heats in the final event as a result of cuts, teams went against seven groups of their peers in a head-to-head battle to the finish. The first heat comprised San Francisco CrossFit, Oregon CrossFit, CrossFit SoCal, CrossFit Vancouver, Brothers CrossFit, Guerilla Fitness, CrossFit Performance and CrossFit Atlanta, and it was hotly contested. "We had rope climbs at sectionals and regionals in the Northwest, so I've done a lot of rope climbing-but never that high. It's coming down in a way that you don't burn your hands and thighs. You have to to come down under control, and that takes a lot more energy," said Tami Ough of the Oregon CrossFit team. The second heat was an instant barn burner. 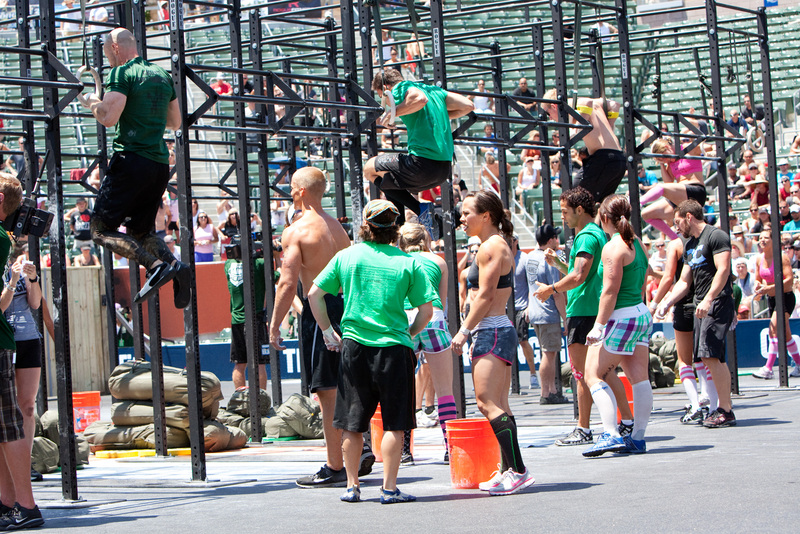 First off the rope climb was CrossFit New England, with Fort Vancouver and Omaha hot on their heels. As bags flew over their respective walls it was difficult to determine who’d finish first. 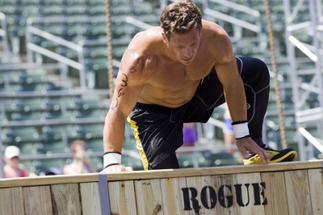 Muscle-ups were a breeze for these top teams, who then moved quickly to the wall-balls. Fort Vancouver and New England went rep for rep with the Dynamax medicine balls and were soon transitioning to the rope climb. Member after member of both teams overcame the wall, both teams in lockstep. It was a 10-yard sprint to the finish, with Fort Vancouver touching the opposing side of the stadium first, literally a split second ahead of New England. After the dust had settled, CrossFit Atlanta (Heat 1) won the obstacle-course event with a time of 10:44, one second ahead of second-place Fort Vancouver (10:45), who was also one second ahead of New England (10:46). Next up is the conclusion of the individual competition. 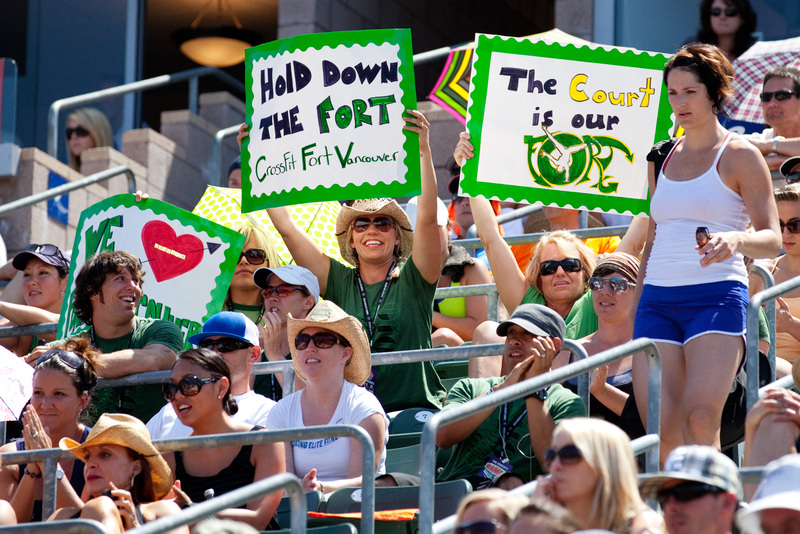 The final three events begin at 1 p.m.
Great Job CFV, way to bring it home! We may not be the biggest affiliate around, but we breed quality! 18 July 2010 / 1:25 p.m.
18 July 2010 / 1:42 p.m.
Great job Fort Vancouver! So proud of you all! 18 July 2010 / 3 p.m.
18 July 2010 / 3:30 p.m.
Givin props to crossfitabq, awesome job!!!!!! 18 July 2010 / 4:46 p.m.
18 July 2010 / 5:08 p.m. Awesome job team CFNE! You all rock. 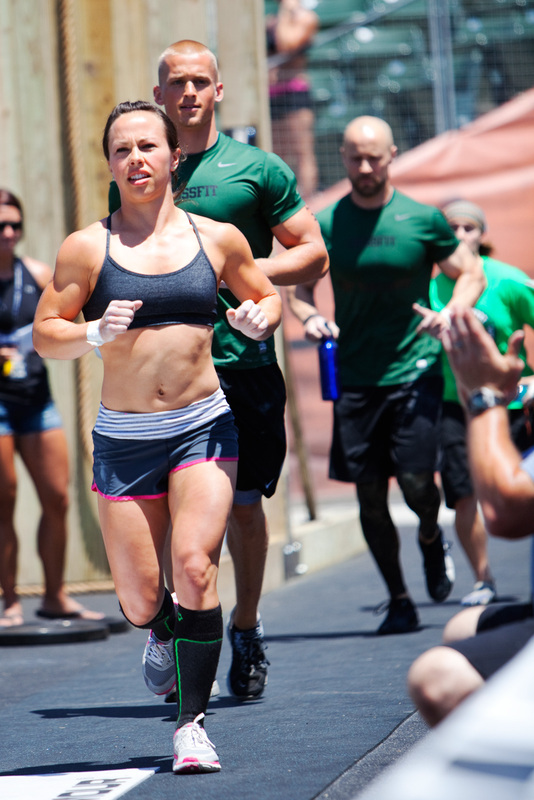 18 July 2010 / 6 p.m.
Super proud of our athletes at CrossFit Albuquerque. 2nd at regionals and 4th at the games. Not bad for an affiliate's first run at the games. Great job to all the participants, the affiliate team competition was the highlight of the games in my opinion. 19 July 2010 / 2:33 p.m. THANK YOU organizers, volunteers, judges, families, and all the other hard-working individuals that make CrossFit happen. Unbelievable experience. Whether it was sectionals, regionals, the Games, or the 6:00 AM class in a box across the country, thanks for giving us all the opportunity to compete. 20 July 2010 / 7:33 a.m. Thanks for the great weekend CFP! 20 July 2010 / 8:27 a.m.